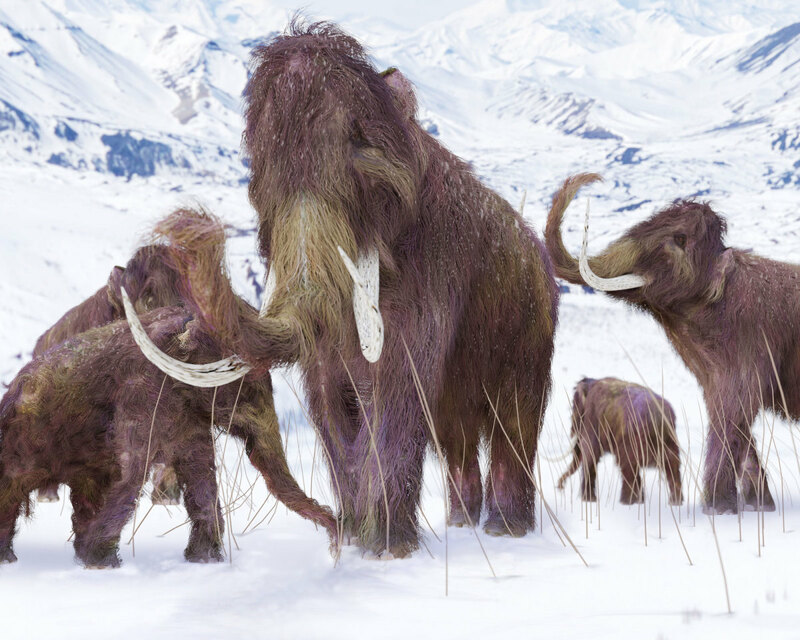 Are Scientists on the Verge of Resurrecting the Woolly Mammoth? The prehistoric beasts roamed the earth 10,000 years ago—and scientists are obsessed with bringing them back. 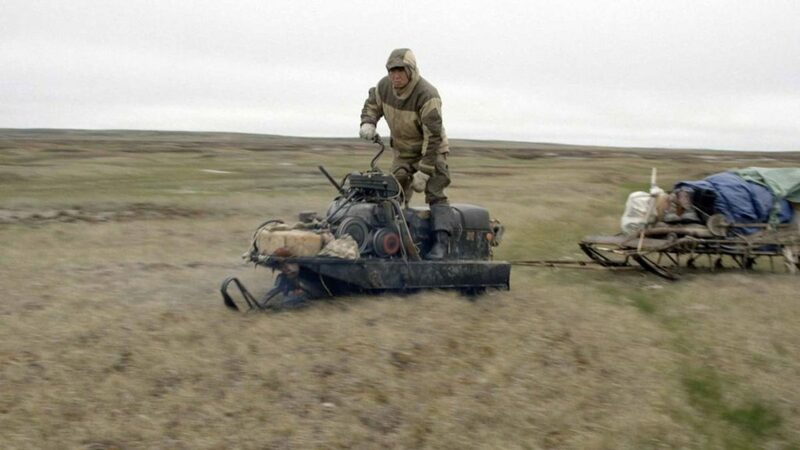 Every summer, groups of hunters head to the remote, uninhabited New Siberian islands in search of the elusive “white gold”—a perfectly formed tusk of a woolly mammoth—hidden in the thawing Arctic permafrost. 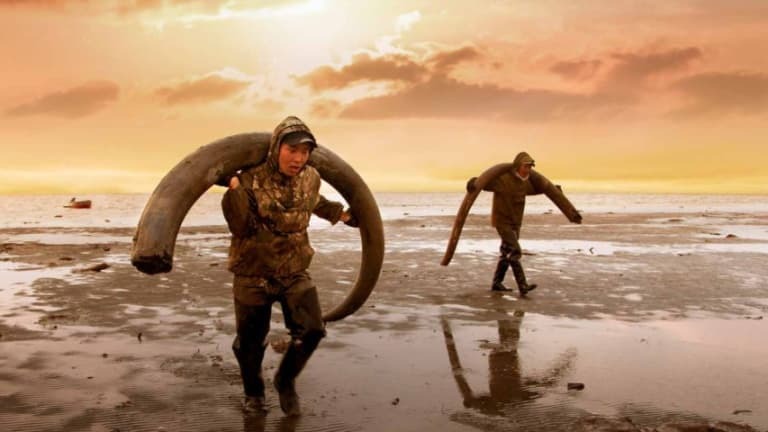 They are not only exploring the furthest reaches of the Arctic Ocean, but traveling back in time, carrying out a primordial quest for the tusks of the massive beasts that roamed the forbidding landscape in droves before going extinct 10,000 years ago. Of course, there’s always the chance the hunters may stumble not just on a tusk or two, but on an entire set of mammoth remains, including fur, flesh and even oozing blood. 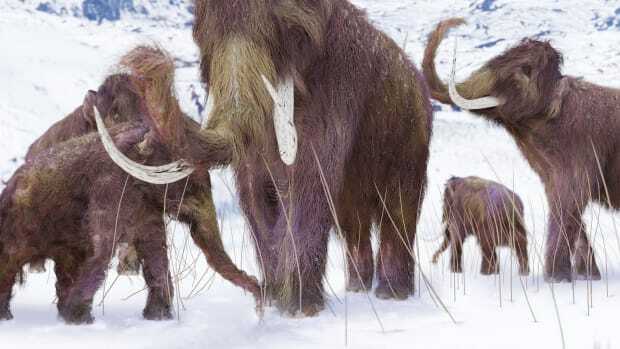 An illustration of a family of Woolly Mammoths. 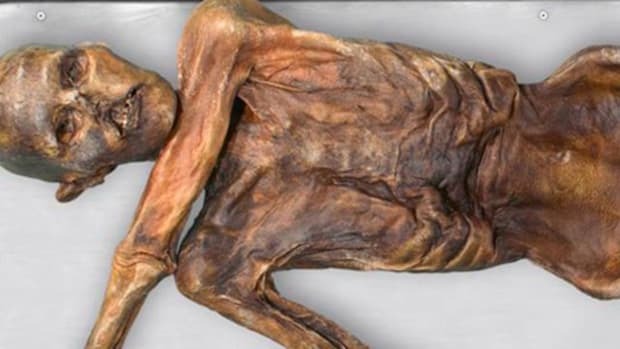 That’s what happened in 2013, when a team from Yakutsk, Russia, uncovered the almost-complete carcass of a young female mammoth buried in the permafrost on the New Siberian Islands. 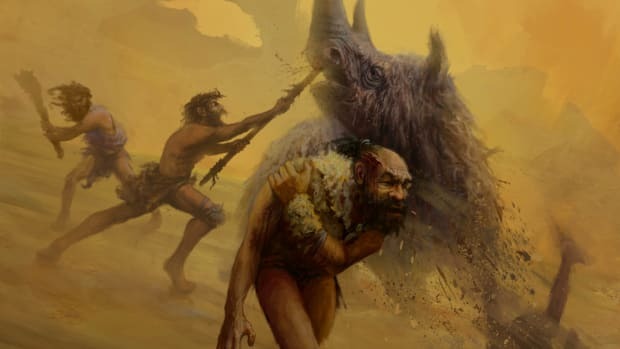 Not only were three legs, a majority of the body, part of the head and the trunk still relatively well preserved, but when the researchers began efforts to dislodge the animal’s remains, they noticed dark, sticky blood oozing from the carcass. 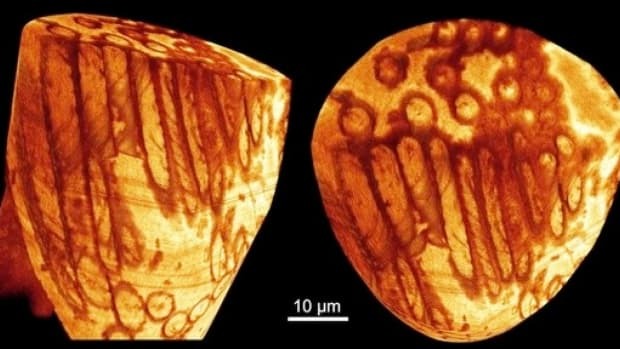 Carbon dating revealed that Buttercup, as she was dubbed, lived some 40,000 years ago. From her remains, including a vial of blood drained from her carcass, scientists hoped to extract living mammoth cells that will yield intact DNA—the missing link in modern scientists’ long-running quest to bring this ancient behemoth back from the dead. In the new documentary film Genesis 2.0, Swiss documentarian Christian Frei and his co-director, Siberian filmmaker Maxim Arbugaev, follow the intrepid mammoth tusk hunters in the New Siberian Islands, as well as various scientists in the United States, Russia, South Korea and China who are working to bring the mammoth back to life in one form or another. Traditional Chinese carvers make elaborate sculptures out of mammoth ivory, and first-class mammoth tusks can net the hunters tens of thousands of dollars on the international market, especially since China banned the import and sale of elephant ivory in 2016. Russia exported 72 metric tons of mammoth ivory in 2017, with more than 80 percent of it going to China. For the Siberian mammoth hunters, finding a top-notch tusk to sell is the goal, of course—a lot of what they find is in poor condition—but it’s also a mixed blessing. In local culture, which has long considered the woolly mammoth a sacred beast, it is considered bad luck to touch mammoth remains, let alone remove them from the earth. Whatever the market value of a preserved ancient tusk is, it’s nothing compared to the scientific community’s high-stakes quest to resurrect the woolly mammoth, Jurassic Park-style. Since 2015, a team led by the renowned molecular engineer and geneticist George Church of Harvard University has been working to produce a mammoth-elephant hybrid, rather than a clone. They plan to do this through “synthetic biology,” or splicing the genes of a woolly mammoth with those of an Asian elephant, its closest living relative, which shares 99 percent of its DNA. 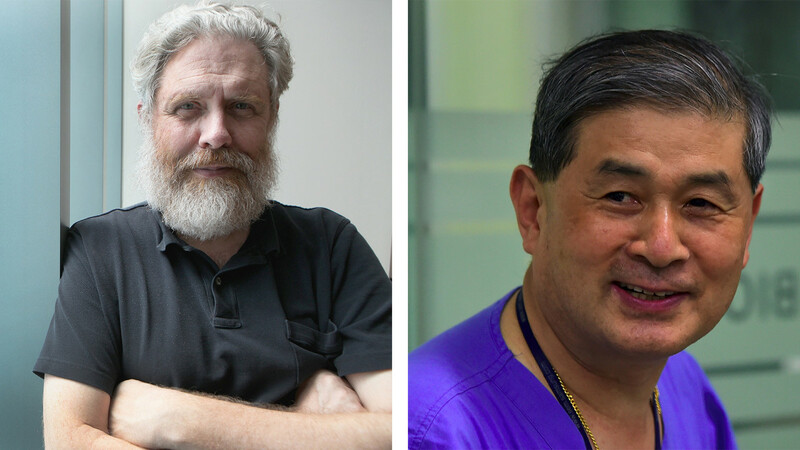 George church, genetics professor at Harvard (left), and South Korean Scientist Hwang Woo-suk. Then, of course, there’s the work going on at South Korea’s Sooam Biotech Research Foundation, headed up by the controversial veterinarian and cloning expert Hwang Woo-suk. Scientists there have already mastered the process of cloning your beloved pet dog—for a cool $100,000. Barbra Streisand is among the celebrities known to have had her dog cloned, and Hwang has even donated some experimental puppies for use as Russian police dogs. But despite dedicated effort, scientists have not yet managed to clone a woolly mammoth, although they keep trying. In addition to the Sooam scientists, researchers in Russia are still searching for living mammoth cells within the remains of Buttercup and other recovered mammoth carcasses, but the nature of DNA itself poses a serious challenge to their quest. 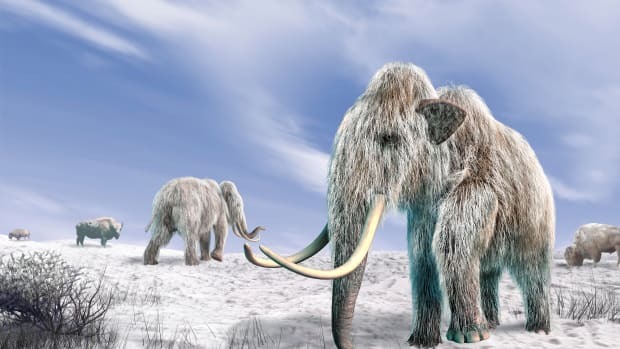 Those looking to see the woolly mammoth’s return may want to pin their hopes to synthetic biology, rather than cloning: Within the next decade, George Church and his team expect to create the first mammoth-elephant hybrid. 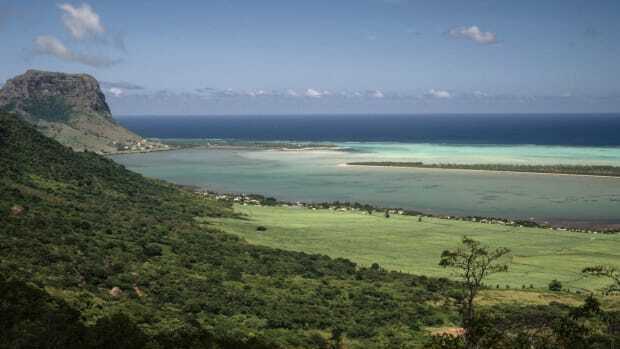 Their efforts aim not only to protect the endangered Asian elephant, but to combat global warming. By grazing on the Arctic tundra, the animals would expose the earth underneath to the cold air, keeping it frozen longer. While turning back the climate change clock is a worthy goal, watching Genesis 2.0 helps make clear that if scientists are able to resurrect the long-extinct woolly mammoth, they aren’t likely to stop with just one prehistoric beast. Can Scientists Clone a Woolly Mammoth? Should They?